Around the web – a 24-year-old Scottish woman returned from a trip to Southeast Asia suffering nosebleeds, which she assumed were related to an accident. As Daniela Liverani told a Scottish newspaper, “Two weeks before I came home from Asia, I started having nosebleeds but I’d fallen off a motorbike so thought I’d burst a blood vessel. “After I got home, the nosebleeds stopped and I started seeing something sticking out of my nostril. I just thought it was congealed blood from the nosebleeds. Ms. Liverani, praised the calmness and concern of the doctors at the Edinburgh hospital who took a painful 30 minutes to remove the parasite, which she dubbed “Mr. Curly” before boiling the creature and throwing it away. 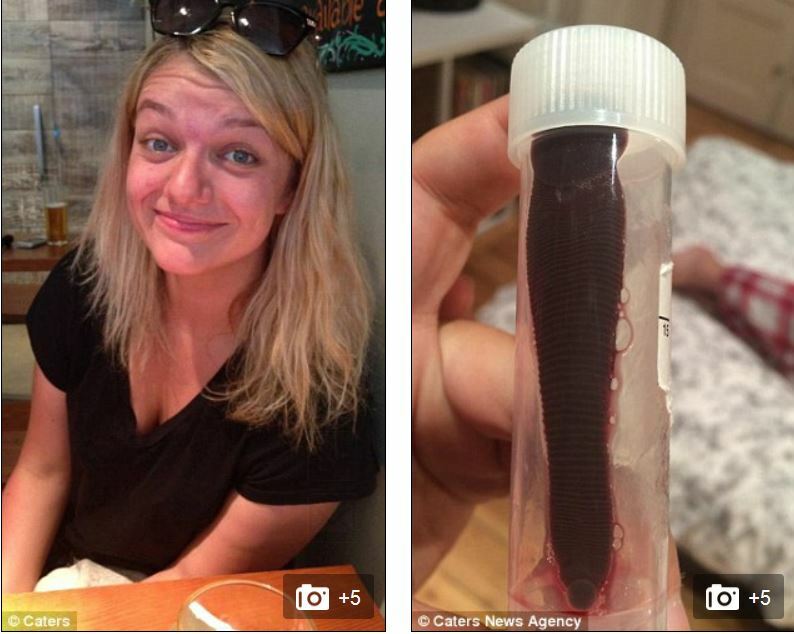 One leech expert suggested the parasite could have entered the woman’s nose while she was swimming, or simply by having a drink of water. Hard to imagine not feeling something so large entering the nose or mouth, but I guess leeches have had a lot of practice at such stealthy maneuvers. Suddenly my life as a Brooklyn mosquito magnet doesn’t seem all that bad.